Do you know how to train a dog to be calm around strangers? If you don’t, greeting guests, visitors or clients at home might be a challenge. But how can you get your dog to calm down and behave? 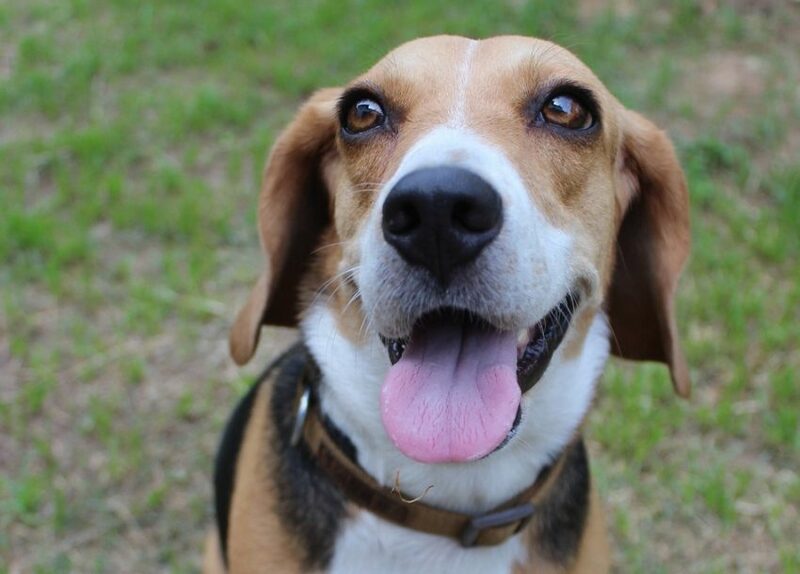 Dogs can greet strangers by barking, jumping, hiding, or running away. None of those are acceptable behaviors. A grown-up dog might push somebody to the ground or scare someone with his barking. Not to mention that it’s not healthy for your dog to be anxious all the time around unfamiliar people. Fortunately, you can overcome this problem with five easy steps. When you’re nervous about how your dog is going to behave around other people, your furbaby can feel your agitation. In addition to this, he senses the fear and anxiety radiating from people afraid of dogs. So, Max concludes that there is a reason to be anxious, and he misbehaves. Getting frustrated or angry at your dog or the people responsible for his over-excitement/agitation is the worst thing you can do. You’re likely to make mistakes that can ruin the training you’ve done up to now. Remain calm, and you’ll control the situation. Lose your nerves, and you’re not the pack leader in your dog’s eyes. You can practice with a friend, who “plays” the role of the stranger. When the dog starts barking or jumping, you and your friend must ignore this behavior. You don’t scold or pull back the dog because your attention is a “reward” in a way. Instead, wait for Max to calm down. Only then should your friend toss Max a treat without looking at him. Your friend continues to supply treats while Max is calm and stops them when the dog starts overreacting again. The point is to teach the dog that he gets treats only when he is behaving calmly. Start by practicing these commands with no visitors until you’re confident that your dog responds to you no matter what. Then ask a friend to come over. If Max starts overreacting, tell him to get “down” and “stay” on a mat. Use a leash to direct him, if necessary. Wait for Max to calm down on his mat and don’t pay him any attention. The dog should learn that your visitor is there to meet you and that Max will be allowed to greet the visitor on your terms. After a while, if Max is acting calm, give him a treat and introduce him to your visitors. Continue to provide treats as long as Max is behaving well. You want your dog to have positive associations when meeting new people. Repeat this exercise with different people to get your dog used to people coming over. Also, teach your dog the “watch me” command so that you can attract his attention when he is distracted. Sometimes the above method doesn’t work because the dog is too enthusiastic or anxious. Before you invite a “friend” over, put Max in his crate. Give him plenty of time to calm down inside his safe den when your visitor arrives. Then let him out to meet your friend. Remember to give a lot of treats and praises. You can also put Max inside his crate when he gets too overly excited by your visitors. Don’t think about it as a punishment. 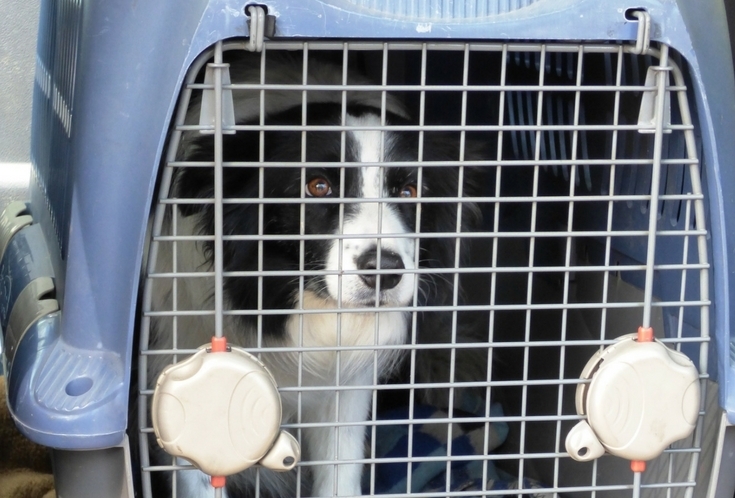 It’s a time-out, which allows your dog to get calm inside his den. And if you have parties in your house sooner or later, any dog will need some time away from all that noise. All the attention a dog gets from guests or curious people on the street is a reward in his view. That’s why it’s so easy for guests and strangers to ruin all the hard work you’ve accomplished so far. Dog-loving visitors might get Max overexcited or show him that it’s OK to jump on people to greet them. That’s why you have to talk with your guests or explain to those who want to interact with your dog how to act around him. No jumping, no petting, no food until you say so. Those are the rules. I know that it’s hard reinforcing such harsh rules. But you’ll be even more annoyed later when you have to reteach your dog not to jump on people. Training a dog to be calm around strangers requires a lot of practice and patience, but it’s worth it because you’ll have a dog that plays well with other people! 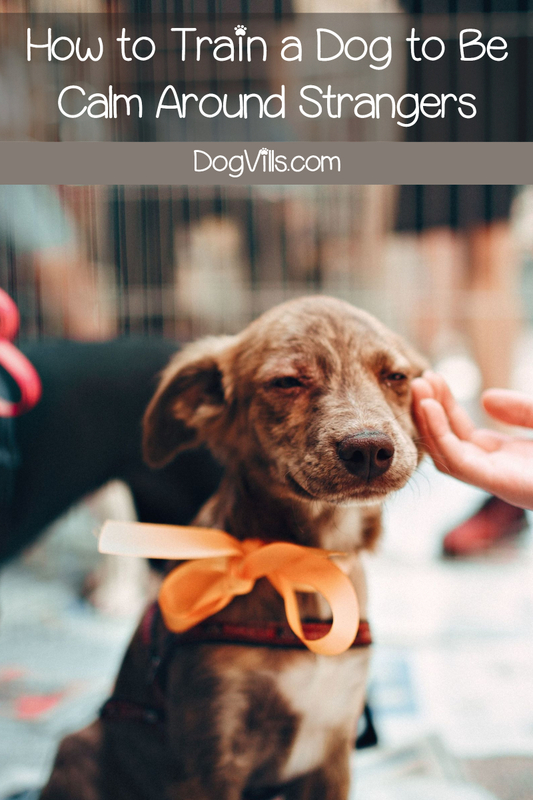 How did you teach your pooch to greet people calmly? Share your tips for how to train a dog to be calm around strangers below!